What Can You Do With Toothpaste? 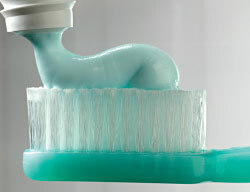 Did you know that your toothpaste has other uses besides just cleaning your teeth? This article from the Times of India gives you some ideas of things to do with toothpaste you probably never even thought of. For instance did you know that toothpaste can not only help your teeth get whiter but also your nails? To really get your teeth their whitest come see Dr. Nichole Martin for teeth whitening in Lynnwood. At Heavenly Smiles, Dr. Nichole Martin knows your comfort, safety and health are of paramount importance. Each and every patient of Heavenly Smiles is treated with individual attention, personal service and gentle care.